Two of the “glorious leaders” of the free world have come out in the last week voicing their opinion that encrypted applications should be made illegal. Cameron started it suggesting that SnapChat be made illegal and then Obama backed him up, eventually. The reason for this of course, is the ubiquitous “terrorists” that are hiding under every bed these days, the Emmanuel Goldstein Effect is growing rapidly and we should all be worried. As most commentators have pointed out for the last two years, using encryption either stops or severely stunts the ability for spooks, spies, and bad guys to get your data. In this day and age, it is advisable that you implement crypto across any service you are using, less to stop the increasingly paranoid government spies and more about protecting yourself and your customers. 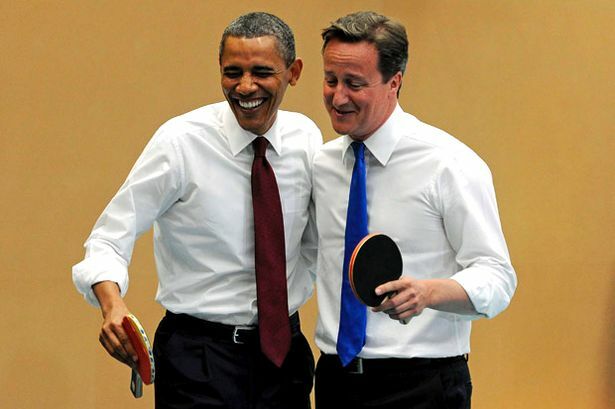 Cameron and Obama are clearly being advised by the old dinosaur industry base as opposed to listening to new business leaders with twenty first century models. Let’s get something clear here, all the trillions of dollars that has been spent by the Five Eyes has still failed for the most part to prevent terrorist attacks. The reason being that the spy systems are less about stopping terrorism and far more about protecting industry that is critical to the Five Eye’s countries. The last four decades have shown time and again that the Five Eyes are far more interested in spying on industry in other countries than they are terrorists. The Emmanuel Goldstein Effect is simple, terrorism is used as an excuse to degrade privacy while increasing the ability of the Five Eyes to protect their industrial empires. We’ve seen all this before, in the U.S. the government is regurgitating, well, have dug up the stinking corpse of CISPA and tried to reanimate it like some kind of bizarre re-clothed anti-privacy zombie. Under the new rules you could face ten years in prison for sharing your HBO password. Yes. Really. Can I smell the disturbing funk of the Big Media Voodoo Warrior set? The effect on IT of a ban like this, and the increasingly stupid, dinosaur, and draconian laws in the spy sector, is likely to be twofold. First, the IT industries, including Cloud, in both the U.K. and the U.S. will continue to suffer. We’ve already seen an exodus of customers to European IT providers, this will continue that march. If using encryption is illegal in a world that is increasingly treating privacy with the respect it deserves, and they think that could expose their intellectual property to the Five Eyes, they will go somewhere else. Second, it increases the risk of Balkanization. That is the break up of the Internet by country or idea. Brazil is already rapidly heading down that track as are fundamentalist Muslims and Christians. The open Internet becomes far more closed and controlled, further degrading it’s effectiveness as what it was intended to be, an open and neutral network. Meanwhile, Australia has already set about putting some of these laws in place, including one that could accidentally ban encryption. They are so trigger happy over there that they’ve already pretty much banned whistle blowing, that will land you in jail, and is a direct shot at journalists in a country that already has some very serious issues with the media. The accidental crypto law could see you land in jail for ten years in certain circumstances, if you take the letter of the law. We could be heading to a Spanish situation, where using encryption means you will be sent directly to jail where seven people have been arrested in the last week for using encrypted email. Stop your sniggering New Zealand, our glorious leaders is currently in the U.K., no doubt meeting with the other Five Eye leaders, and you can be sure that we’ll see a new round of stupid laws in this space making their way into the public sphere this year under the auspices of the Emmanuel Goldstein Effect. Not content with trampling all over privacy rights on a Global scale, the Five Eyes are building an offensive cyber capability. Having already caused problems with malware, including their own globally, the spies now want to be able to shutdown entire countries infrastructure via the Interweb. So, what we are seeing is a very mad bunch of bees in action. All of this is pushing super-massive global IT companies to change. With Microsoft, Apple, Google, and other heavyweights now locked in combat with the U.S. Government and others threatening to establish their own states or move into anywhere other than the Five Eyes territory, the U.S. may find that it’s twenty-first century, high-tech, silicon valley powered cash cow is going to disappear. It’s all a bit mad, and likely to get worse. When you add Monster Mind to the equation, an automated Internet attack system that can call on drones without human intervention, you have to scratch your head and wonder when it was that the dinosaurs and dogs of war took over the Internet, which was never conceived to become a weapon of war. Worse, world leaders appear to be completely ignorant to the ramifications of these moves, including our own Prime Minister. At this rate, the first country in the world that provides a digital citizen safe harbour, for you and your services, will see a flood of investment and digital refugees from a world that had militarised the Internet.